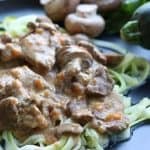 Sometimes you just need a little comfort food and this healthy Instant Pot Beef Stroganoff is it! 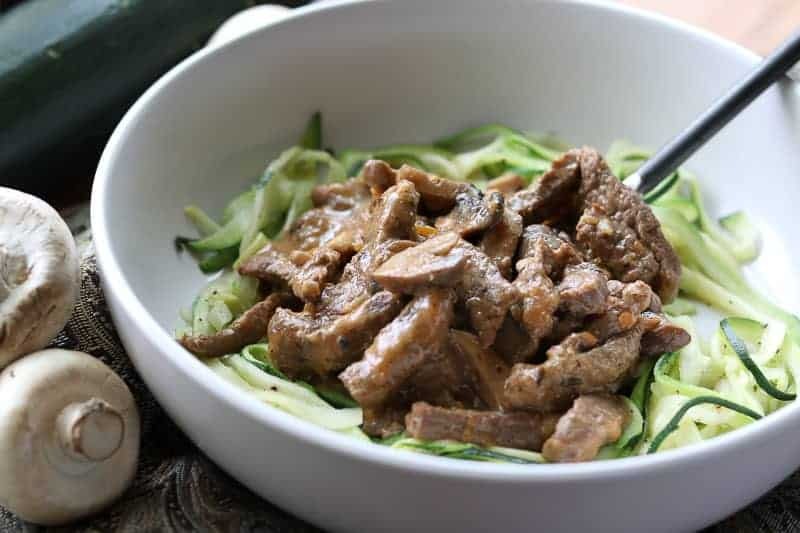 Delicious beef and mushrooms made tender in the Instant Pot served over fresh zucchini noodles. Only 204 calories per serving or 6 Weight Watcher Freestyle Smart Points. I have also included stove top directions in the recipe below for making this stroganoff. I’ve been making some form of beef stroganoff since probably the 6th grade when I first started really cooking. My mom had a great recipe with condensed chicken soup and we served it over Ream’s noodles. Not sure if you can even get those these days. They were in the freezer section. I used that recipe for a long time until I decided to turn it into this more healthier version. 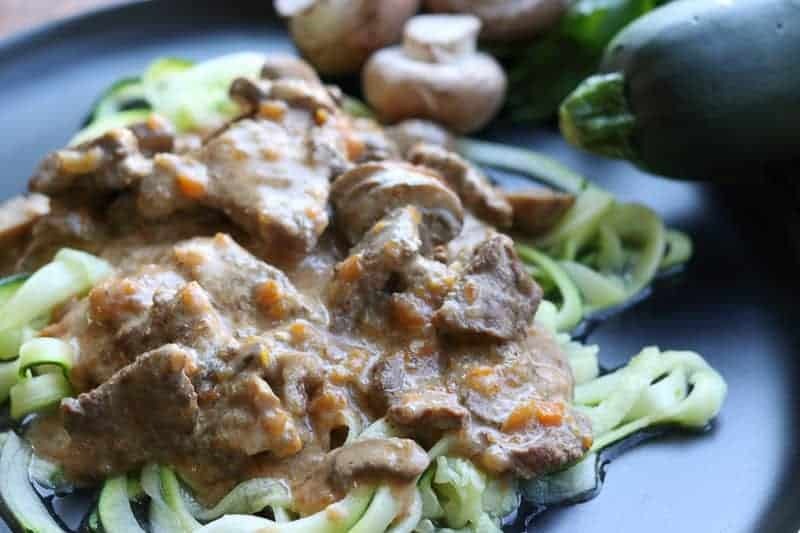 I love to serve this healthy Beef Stroganoff over zucchini noodles, however I know not everyone likes those. If you’re making it for kids, guests or picky people, sometimes it’s good to have options. If you know this may be the case, have a side dish of white/brown rice or egg noodles alongside the zucchini noodles so your family and guests have choices. 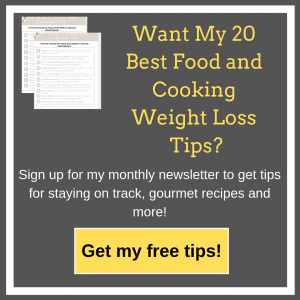 Because this recipe uses the Instant Pot, I like to use top round steak. The Instant Pot makes the meat tender and delicious. If you’re making it on the stove, you might want to use a better cut of meat so that the dish turns out more tender. How do you keep Beef Stroganoff from curdling? Allow the sour cream to come to room temperature before adding it to the mixture. Do not allow the mixture to come to boil after you have added the sour cream. How long does Beef Stroganoff last in the refrigerator? You can keep it safely stored in the refrigerator for 3-4 days. I wouldn’t freeze it in its entirety because of the sour cream, as it will separate and have a weird texture. However, you can freeze it up to the point where you add the sour cream. Just reheat and add sour cream right before serving it. 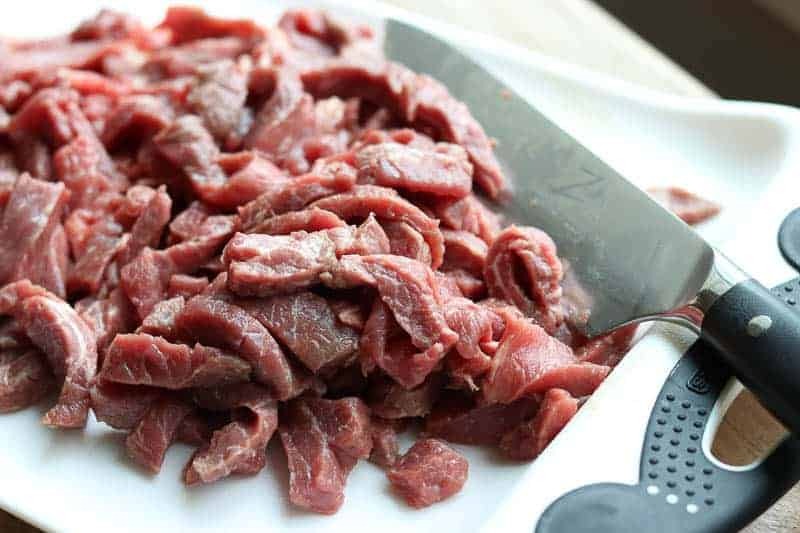 Cut beef into bite sized pieces. 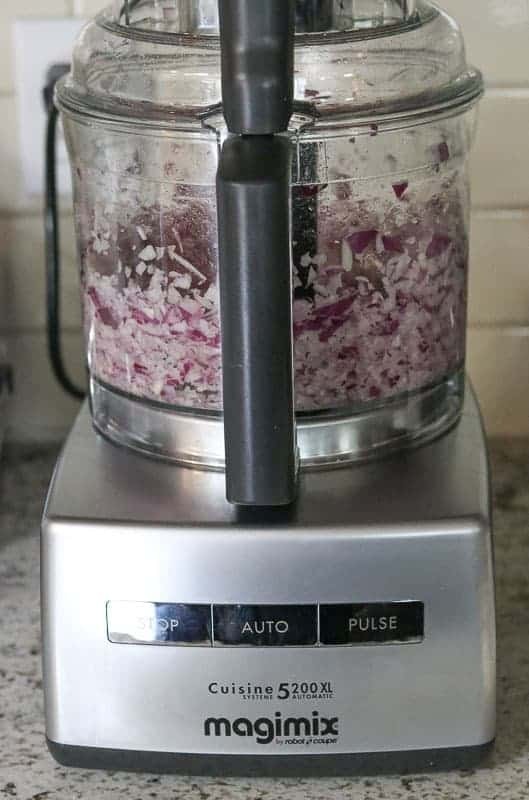 Chop onions, garlic and carrots in food processor. Add brandy and deglaze pot. Add in remaining ingredients. Place lid on pot. Set to sealing. Press, “Manual,” or Pressure Cook and set to 8 minutes. When finished, allow to natural release for 5 minutes. Release pressure, then turn off. To a small liquid measuring cup add a few tablespoons of sauce. Add cornstarch to cup and stir well. Pour mixture back into Instant Pot and cook a few minutes until sauce is thickened. Doing it this way prevents clumps. Stir in light sour cream and serve. Serve over zucchini noodles, rice or egg noodles. 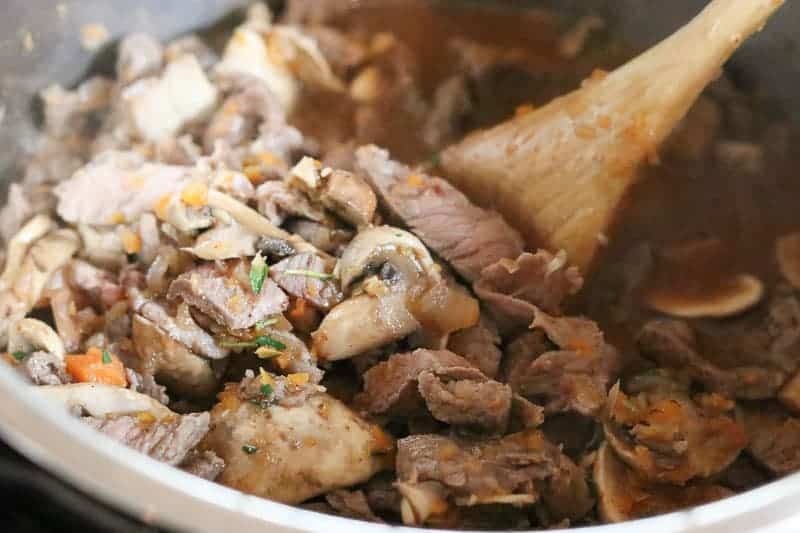 Looking for an easy healthy Instant Pot Beef Stroganoff recipe? This is it! Delicious tender beef and mushrooms, comfort food at its best! Serve over zucchini noodles for a low carb option. Only 204 calories or 6 ww freestyle smartpoints per serving. No cans, just homemade from scratch goodness! Recipe also includes stove top directions. Add butter to Instant Pot. Add beef in batches-cover bottom of pot with first layer of beef. Sprinkle with kosher salt and freshly ground pepper. Cook until browned mostly on all sides. Do not overcook. Remove with slotted spoon to a bowl/plate. Add next batch of beef, repeat. If browned bits, start to stick, don’t worry, we’ll deglaze them in a minute. While beef is browning, chop onions, garlic and carrots ( To do this I use a food processor). 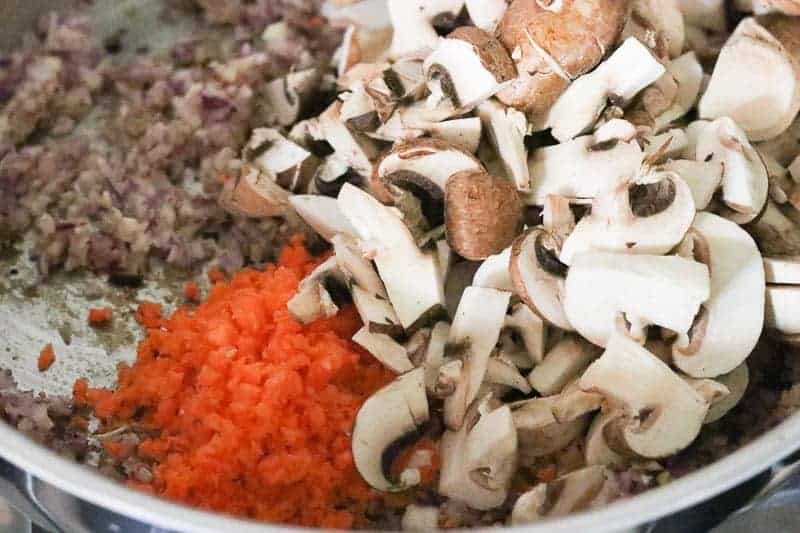 When all of the beef has been browned and removed from pot, add in onions, brown for a few minutes, add garlic, carrots and mushrooms. Add olive oil spray only if needed. Brown for about 3 minutes, stirring often. Don’t let them burn, they may stick to pot but don’t let them get burnt. Add brandy, turn off pot and deglaze pot for a minute. (Stir with a wooden spoon, scraping up any brown bits on bottom of pot). Add stock, Worcestershire sauce, Dijon, paprika and thyme. Add reserved beef. Combine well. Place lid on pot. Set to sealing. Press, “Manual,” or “Pressure Cook,” and set to 8 minutes. When finished, allow to natural release for 5 minutes. Release pressure, then turn off. To a small liquid measuring cup add a few tablespoons of sauce. Add cornstarch to cup and stir well. 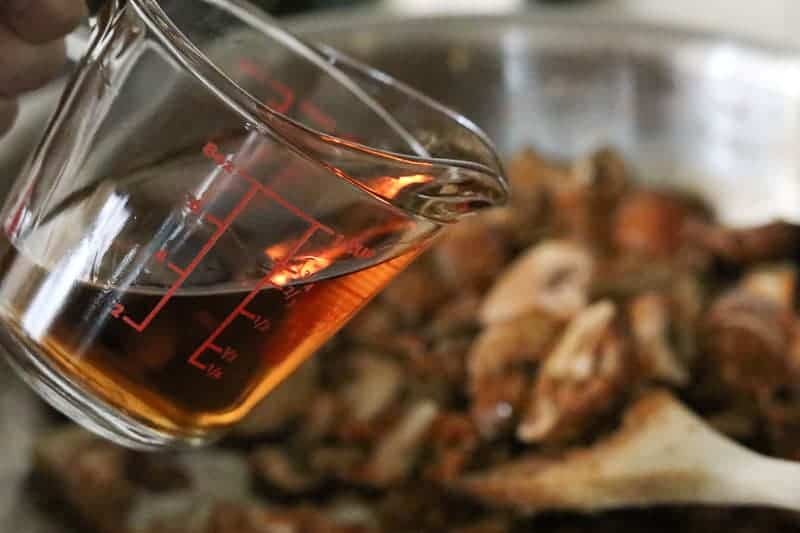 Pour mixture back into Instant Pot. Press, “Sauté,” and sauté for a few minutes until sauce is thickened. 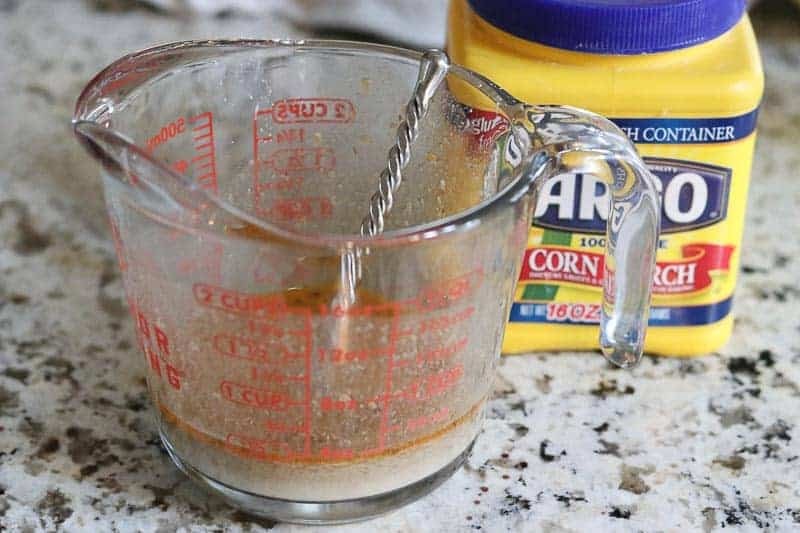 (If you just dump the cornstarch into the Instant Pot, the corn starch will clump. You want to mix it in a small amount of sauce first, then pour it in). Turn off Instant Pot. Stir in light sour cream. Taste, adjust for salt and pepper. Serve immediately over zucchini or butternut squash noodles, spaghetti squash or egg noodles. Spray large skillet/pot (with lid) with olive oil spray. Add butter. Heat on medium high heat. Add beef (in batches), sprinkle with salt and freshly ground pepper. Brown. Spray pan with more olive oil spray, add onions, garlic, mushrooms and carrots. Brown lightly. Don’t worry about ingredients sticking too much on bottom of pan, you’ll be deglazing it soon. Just don’t let them burn. Add beef back in, broth, Worcestershire sauce, mustard, paprika, and thyme. Cover and cook on as low as possible for about 1 hour. Stir occasionally. Take out about 1/4 c of the sauce and place in a bowl or liquid measuring cup. Add 2 T. cornstarch and blend well. Add “slurry” (sauce and cornstarch) back into pan. Cook for a few minutes until sauce thickens. Add sour cream. Slowly heat back up but be careful not to boil. Then serve immediately. Be sure not to “cook” the sour cream, otherwise it will curdle. If it does curdle, it doesn’t affect the taste, just the appearance. No Replies to "Healthy Instant Pot Beef Stroganoff"